It's not quite halfway... heck, it's not quite 1/4 of the way, but it's closer to 13.1 miles than I was just a couple of months ago! My training is going better than I expected. Adam is, unfortunately, dealing with some of the harder sides of running (shin splints, etc...), but he's been doing pretty well up to this point. Yes, I'm talking about the half-marathon training. It's our next trip to WDW, so it's on my mind a lot! We're still not sure how many days we'll be going to the parks or where we'll be staying, so I have taken control of the only thing I can - getting myself ready to run around the parks. I actually wrote a very long and informative planning post tonight, but I'm saving it - hoping it use it as a guest post on Babes in Disneyland. Maybe some of those Cali people will want to check out the world, so if I'll help out when I can! 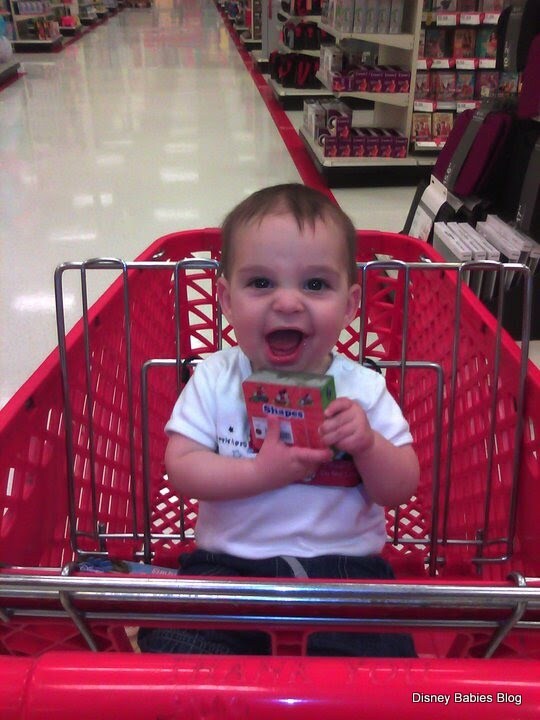 In other news, Noah is comfortable and at times even happy sitting in high chairs and shopping carts. That will definitely make dining in January much easier than our last trip where I wrapped him constantly. Going to have to start a countdown to the marathon pretty soon.